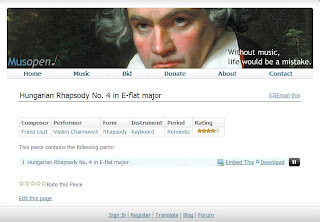 My blog covers some online music and music search engines, most music sites relate pop music but only few classical music are available, for some classical music fans that is not satisfied. Today, I would like introduce a classical music site. Musopen is a open library for classical music lovers, it provides free unlimited access to music file and free copyright. You can browse music by composers, performers, instrument, and so on. After you pick a piece you can listen or download music file. 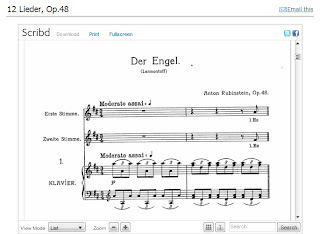 You can also check Sheet Music section, it uses Scribd to display music sheet. I think this is a good music site.